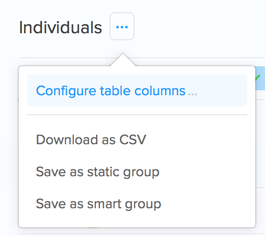 Add, remove or sort the table columns in your groups in SalesSeek, clicking on the button next to the group name. 2. 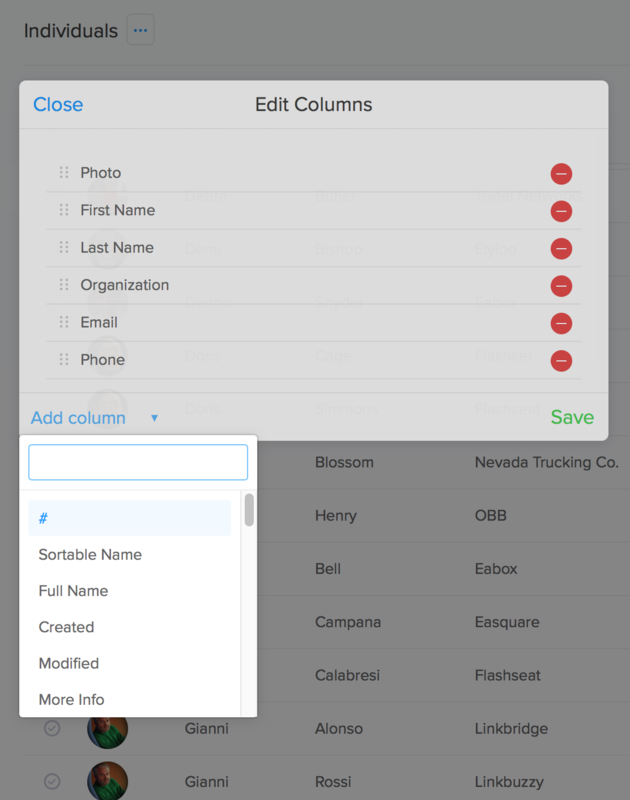 After choosing the columns desired to be exported, click on Save. 3. 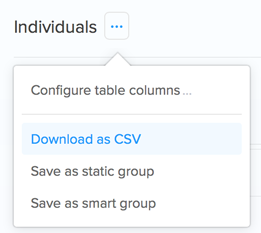 Choose the option "Download as CSV". 4. The file will download in your computer. 5. And you can open and print it in your favorite spreadsheet editor (Excel, Open Office, Google Drive, etc...).